Our Blue Jay stress balls are chirping with excitement! These Blue Jay stress relievers are great promotions to hand out at aviaries, nature programs and bird supply retailers. 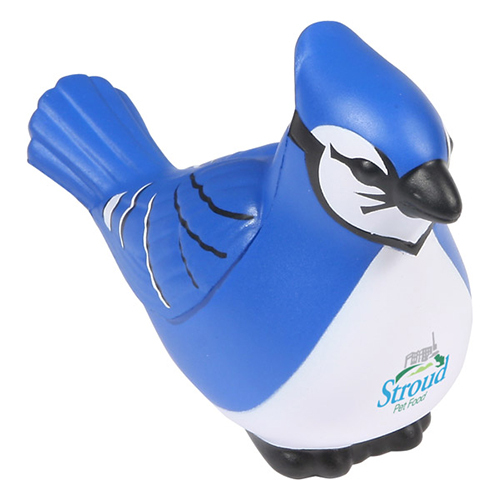 You can custom imprint a Blue Jay stress ball with a business message or catchy phrase. Item Size : 4-1/2" x 2-7/8" x 1-5/8"